I’m moving soon. To say goodbye, I had a going away party on St. Patrick’s day. 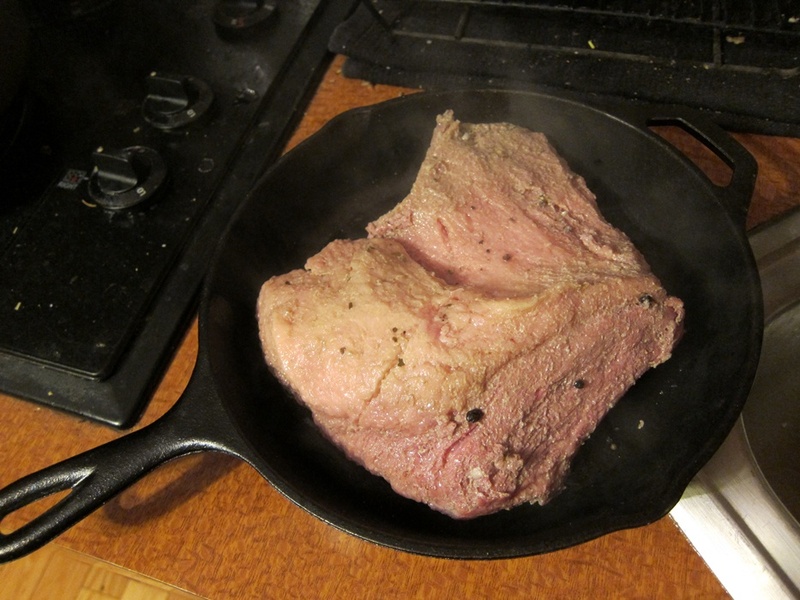 I made a few nearly traditional dishes, including this corned beef. It was SO GOOD. My roommate Alex ate practically half of it himself, he just couldn’t stop! I recommend making this ASAP. Combine the brisket, garlic, pickling spices and peppercorns in a large pot. Add water enough to cover the meat, with a good amount of water on top. 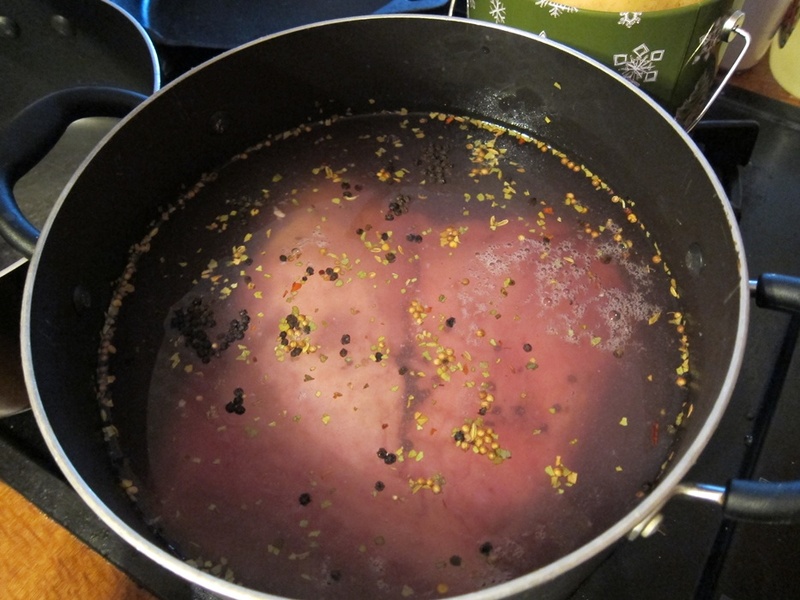 Bring to a boil, then reduce the heat, cover, and simmer for 2 to 2 1/2 hours, until the meat is tender. During the last half hour or so, make both the sauerkraut and the hoisin mixture. Combine all the sauerkraut ingredients in a saucepan over low heat and cook until any watery liquid is gone. Separately, mix the hoisin, honey, soy sauce, pepper, and ginger together. Pour 2/3 of it into a small pot and place on the stove over low heat to reduce until slightly thickened. When the brisket is tender, remove it from the water and put it in an oven-safe dish, fat-side up. Turn on the oven’s broiler. Brush the un-thickened third of the sauce over the brisket, then broil until the top has crisped, 4-5 minutes. 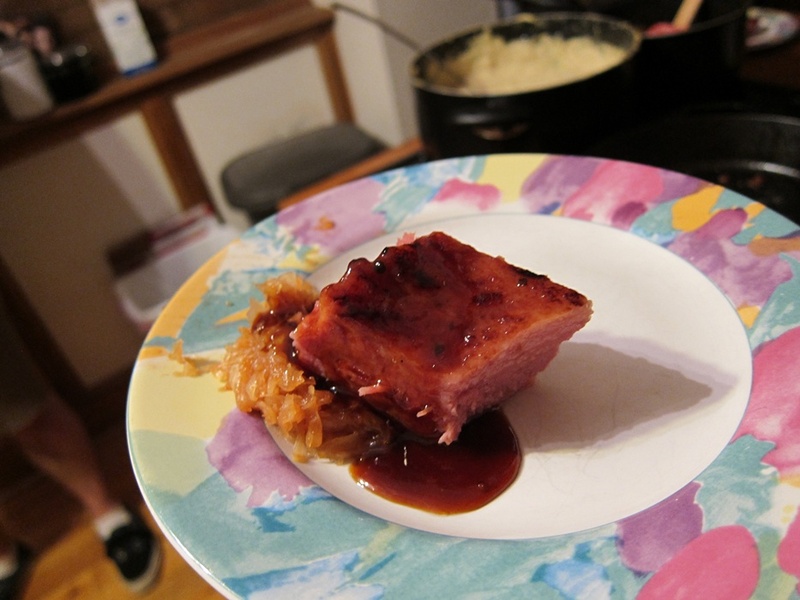 Slice the meat against the grain, and serve with sauerkraut and the reduced sauce. This disappeared fast – I want to make it again already! Combine the brisket, garlic, pickling spices and peppercorns in a large pot. Add water enough to cover the meat, with a good amount of water on top. Bring to a boil, then reduce the heat, cover, and simmer for 2 to 2 1/2 hours, until the meat is tender. 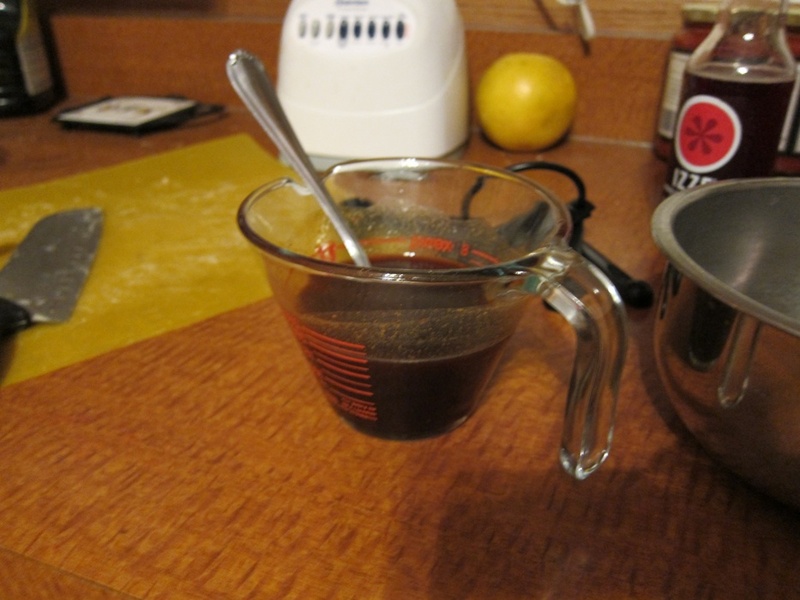 Separately, mix the hoisin, honey, soy sauce, pepper, and ginger together. Pour 2/3 of it into a small pot and place on the stove over low heat to reduce until slightly thickened. When the brisket is tender, remove it from the water and put it in an oven-safe dish, fat-side up. Turn on the oven’s broiler. 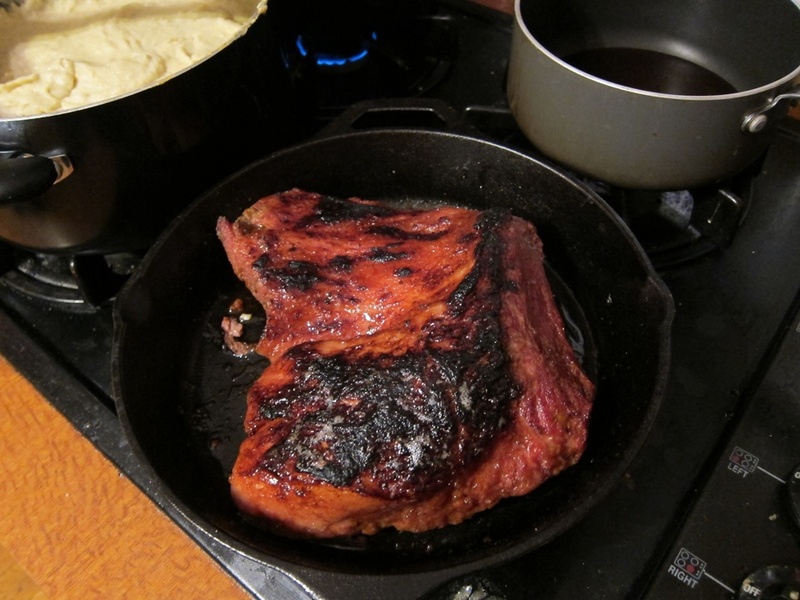 Brush the un-thickened third of the sauce over the brisket, then broil until the top has crisped, 4-5 minutes. 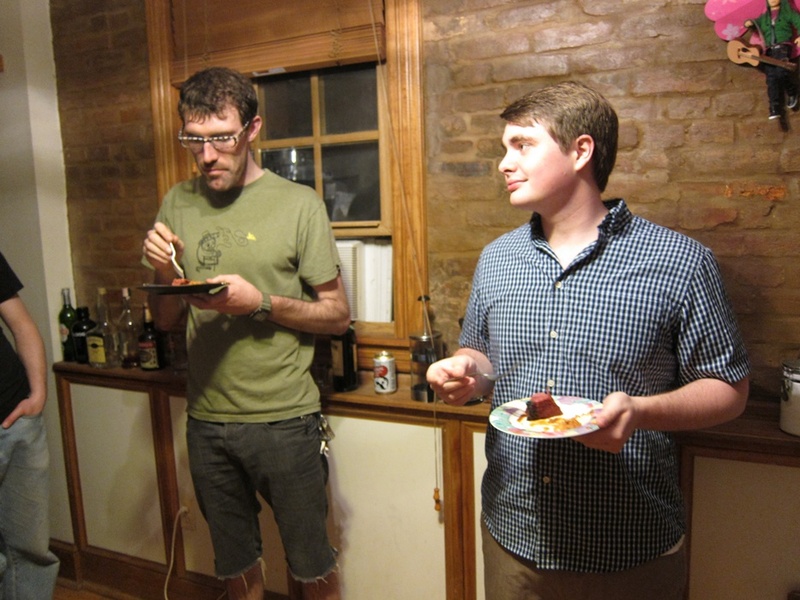 This entry was posted in Dinner, Party! and tagged corned beef, moving. Bookmark the permalink.